Having effective control where waiting customers are concerned is vital to business. Customers who are left waiting around create a queue that can be off-putting to new customers that might otherwise participate. 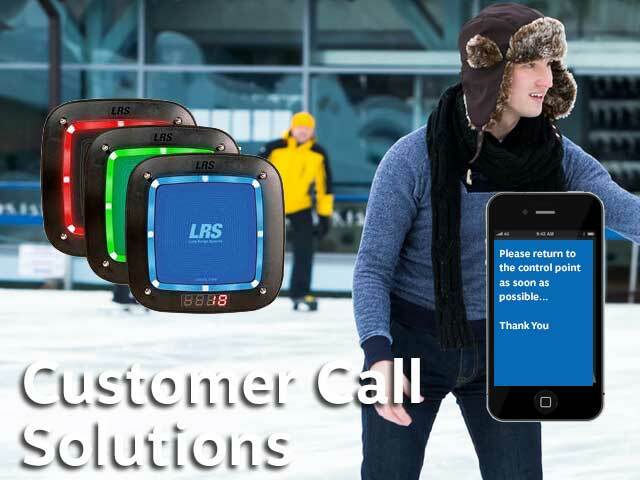 With a customer paging systems you can control the return times of customers exactly and create an 'invisible queue' that customers cannot see. Increased customer flow increases efficiency and profitability. Waitlist management with our applications take the management of customers to the next level increasing service levels dramatically. The coaster customer pager that is given to someone waiting can flash or vibrate depending on what you would like for your operation. 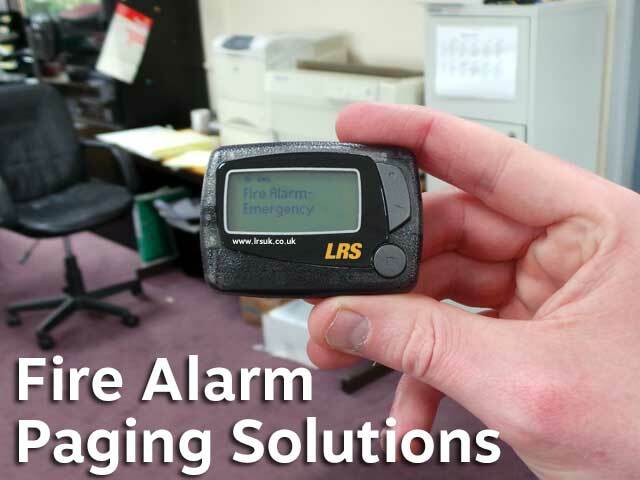 Some of our solutions allow paging and messaging from a computer, a stand alone pager transmitter or even our small six push buttons and are all affordable. 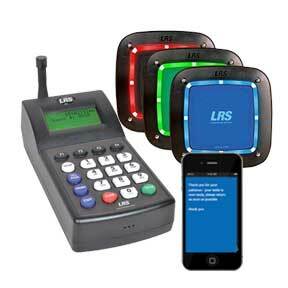 Simple to install and often configured before delivery, pagers can be working in minutes. Increased efficiency increases the quality of service that customers enjoy which has a direct effect on your business. 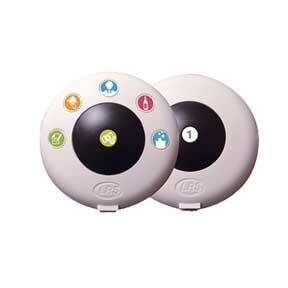 CS7 is the latest technology for customer call paging systems available. 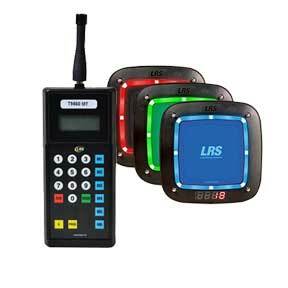 Supplied with any one of a number of transmitters depending on range requirement and other transmitter specific features. CS7 which is developed from our original coaster call now includes an 'acknowledgement of receipt' of the message sent to the CS7 pager. There is also an optional CS6 that does not include this feature and this is supplied depending on the transmitter required for the solution. 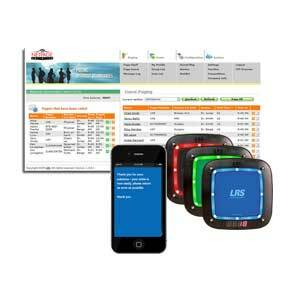 Instant paging or SMS text improves communication. Powerful enough for most areas on-site. Simple to deploy and use. Desk mount and mains powered. 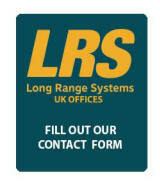 Contact customers at the press of a button with on-site or off-site messaging in an elegant affordable package. CS7 pager is the latest technology for customer recall available; now includes an 'acknowledgement of receipt' of the message sent to the CS7 pager. Range is up to two miles in open air and range extenders are available. SMS Text is worldwide. Contact customers from any computer or networked computer running windows 7 or later. Included wait-list management or advanced option available to manage customer flow from start to finish. SMS messaging is simple to send with unlimited range so customers can roam. The system can operate over many sites with internet connectivity and is compatible with our TX7470 and TX7470-232 transmitters. It works with all pagers we make. Increase customer communications beyond on-site only. 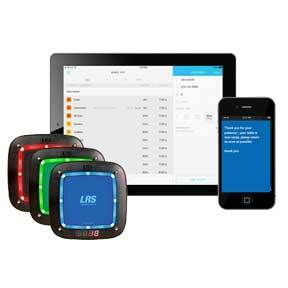 On-cue software app unleashes incredible ability for complete customer recall like no other solution available today. A free application that runs on an iPAD for perfect wait list management that will create the invisible queue. Reduce walkaways and increase customer service levels. An out of the box solution that can easily help you with waiting customers. 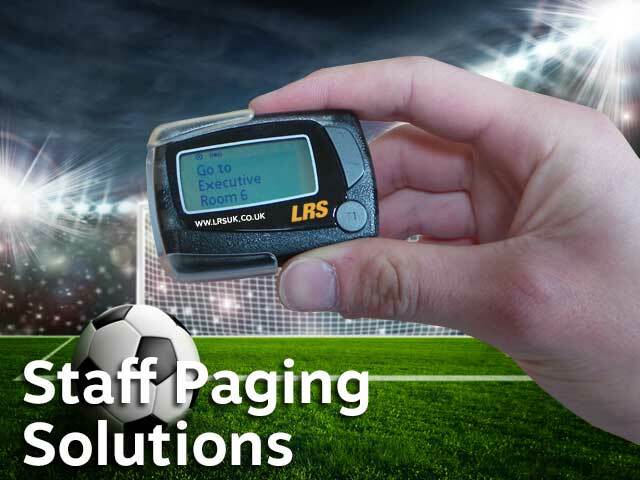 And our PC paging solution is perfect for the larger arena or stadium. Exceptionally cost effective this is a one or six button unit perfect for unmanned reception paging to staff by the customer. It can be wall mounted or desktop placed. Buttons are custom programmed for specific use. 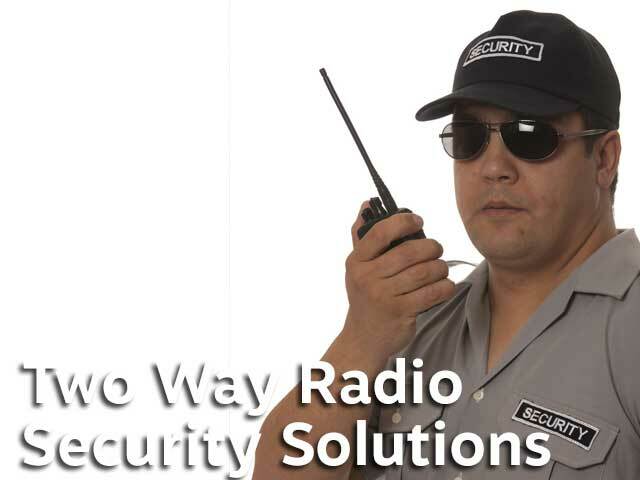 A low budget communication solution that can have increased range with our repeater technology.